The Capital SouthEast Connector Joint Powers Authority (JPA) was formed in December 2006 when the cities of Elk Grove, Folsom and Rancho Cordova, as well as El Dorado and Sacramento Counties, formalized their collaboration to proceed with planning, environmental review, engineering design and development of what was initially called the Elk Grove-Rancho Cordova-El Dorado Connector Project. Up to that point, the Sacramento Area Council of Governments (SACOG) had overseen the early planning stages. 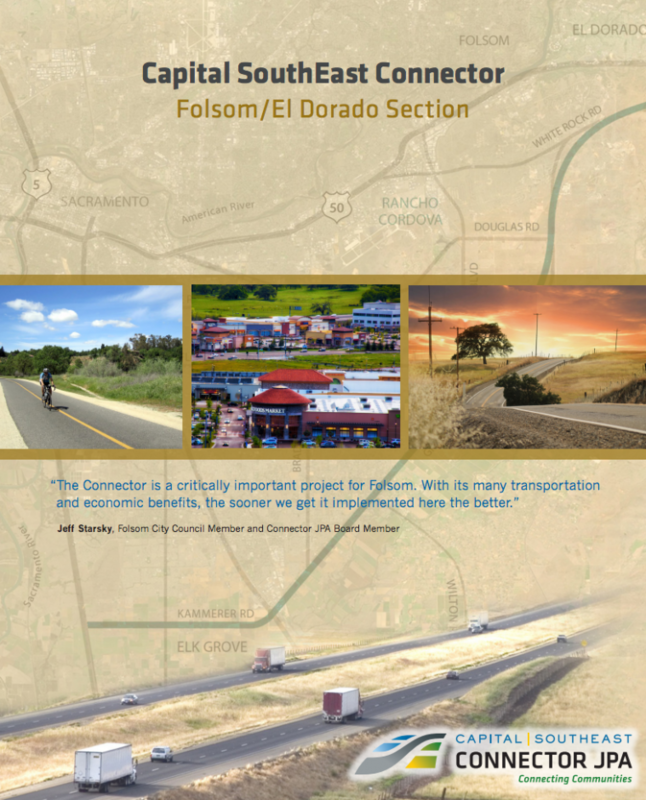 Since 2006, the JPA and its governing board of directors have focused on moving ahead decisively with planning, environmental review, engineering design, development, and eventual construction of the Connector. As the project advances, key decisions made by the Connector board are also reviewed by each member agency’s governing body (i.e., City Council or Board of Supervisors). See Board Members to check who represents your community on the Connector JPA board. Each member agency also commits staff to serve on the the Agency Staff Advisory Committee to help coordinate JPA operations and address technical issues.